Thermostatic shower system with large overhead shower and a hand shower. Spacious shelf made of safety glass, Easy-to-use control handles and diverter. Temperature limiter in the handle. 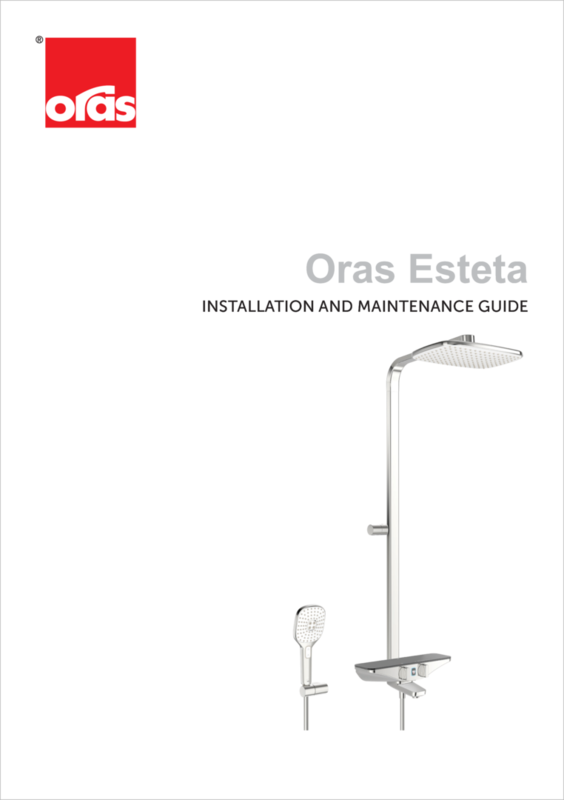 Oras Hydractiva Style hand shower with 3 spray modes: Sensitive (large & gently), Intense (powerful) and Pulse (massage), wall bracket included. Overhead shower size: 360 mm x 220 mm. The faucet is equipped with eccentric unions with silencer, litter filters and non-return valves.